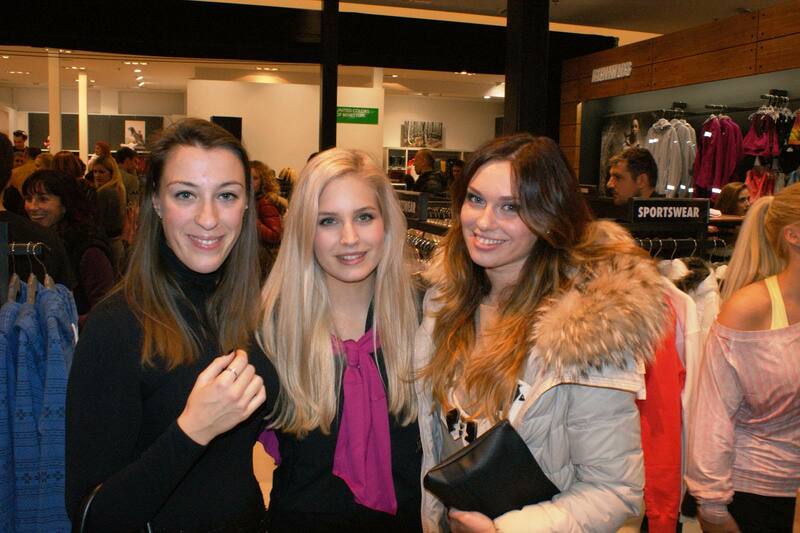 On 14th November, I was part of the Nike running fashion show (Nike tekaški spektakel) as Nike ambassador. Nike opened it’s biggest store in Slovenia inside Emporium shopping center. So, why “running” fashion show? We presented the new Nike collection on the runway while running and jumping. Doing it our way! For all those who follow track & field, names like Primož Kozmus and Marija Šestak probably ring a bell! Yes, they were “models” too. I as Miss sportswoman 2009 and former athlete have been a part of the Nike ambassdor group for the past few years. I really love all the “duty” that comes with it. Being part fo this attractive fashion show is just one of them! Hi, passing by to say hello. Wonderful event and now that is so fashionable sport styles! You look lovely! The event looks absolutely fantastic. I LOVE Nike! I love Nike too! Thank you all for your lovely comments! That event looks like it was so much fun… you are lucky you are blessed with such beauty and grace… if it were me running down that catwalk, I would look like a blotchy pile of sweat, and would probably be out of breath despite it being such a short catwalk… guess I need to hit the gym! !